What you know about unicorns is a lie! A lie perpetuated by an ancient and evil conspiracy. Unicorns were not the cute, cuddly creatures of yore but were marauding monsters sent to Earth from the Great Beyond to enslave all of Humanity. Thankfully, the unicorns picked Scandinavia to begin their conquest and were stopped by the fiercest fighters humanity has ever known, VIKINGS. 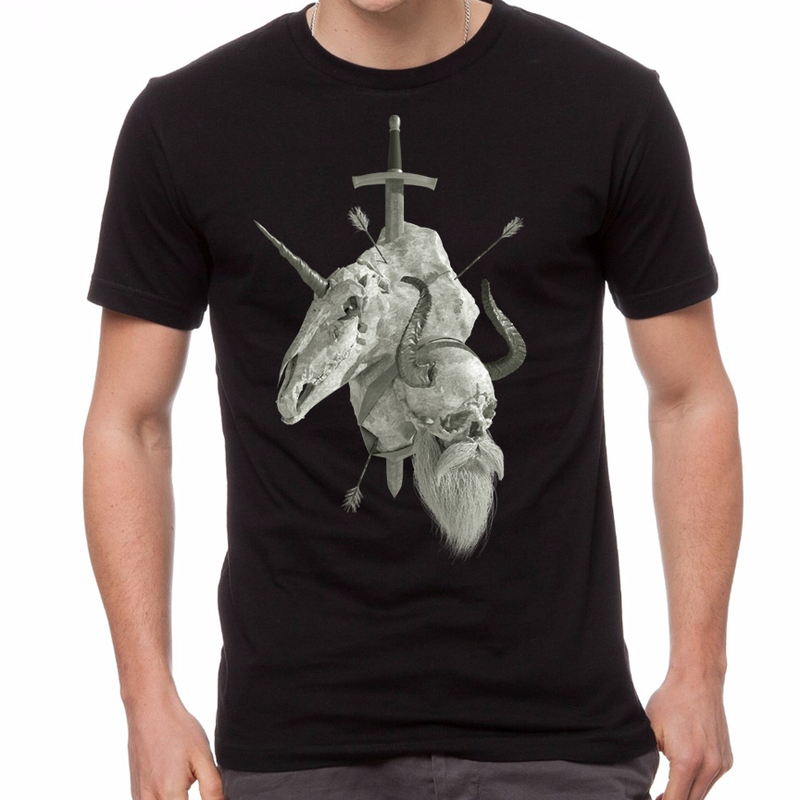 Celebrate Vikings glory with this one of a kind Vikings vs. Unicorns t-shirt.